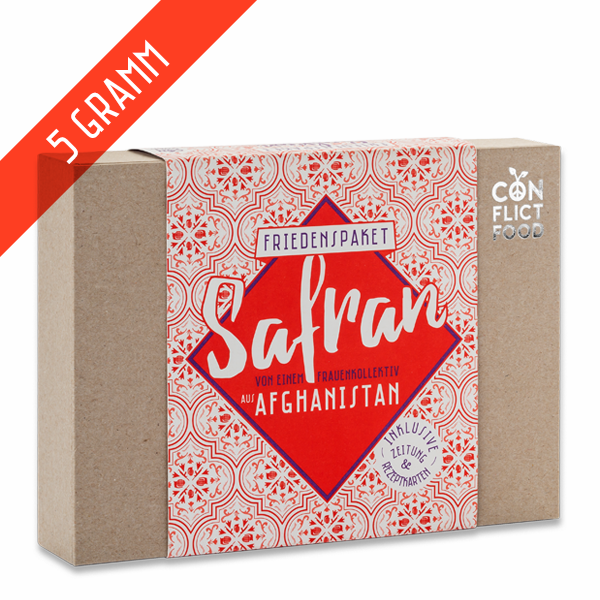 Conflictfood saffron is cultivated using traditional methods and is hand-picked by an independent women’s collective in Afghanistan. 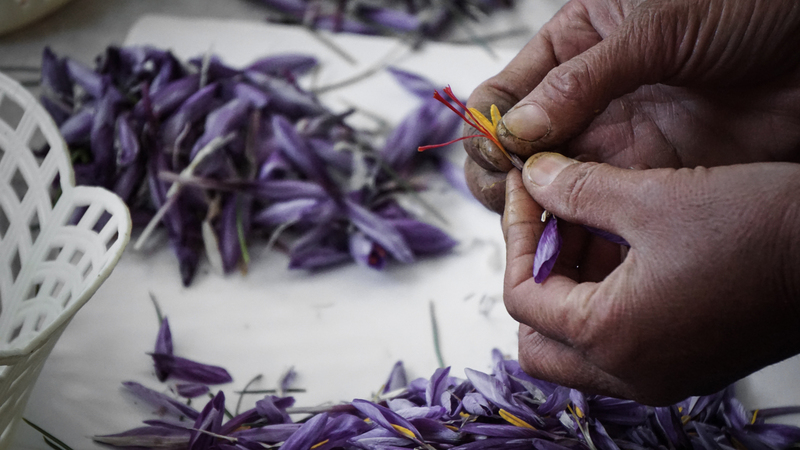 To collect just one kilo of “Red Gold”, over 200,000 crocus flowers must be harvested and their three fragrant threads removed and dried. 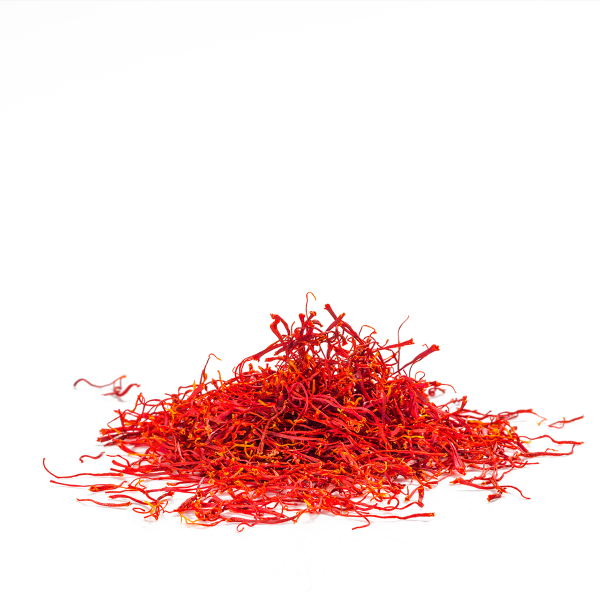 The intense, yet light, flavor of the saffron with its salty, earthy tones are what gives rice dishes, desserts and pastries a rich, golden-yellow coloring. 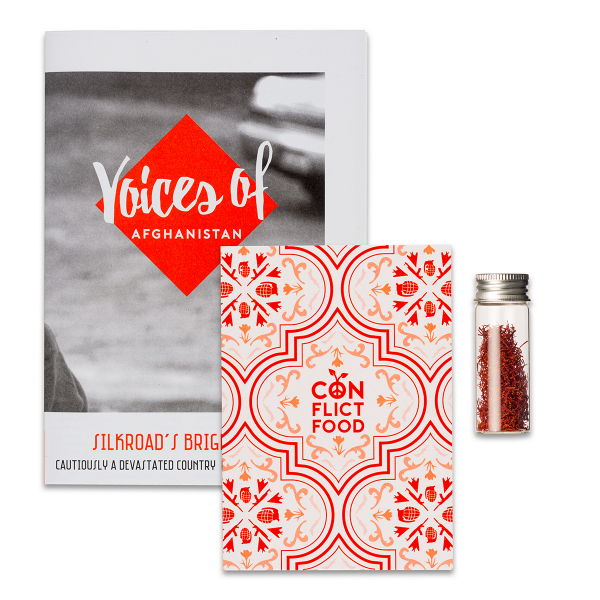 Where opium plants once grew, an independent women’s collective now cultivates Conflictfood saffron. 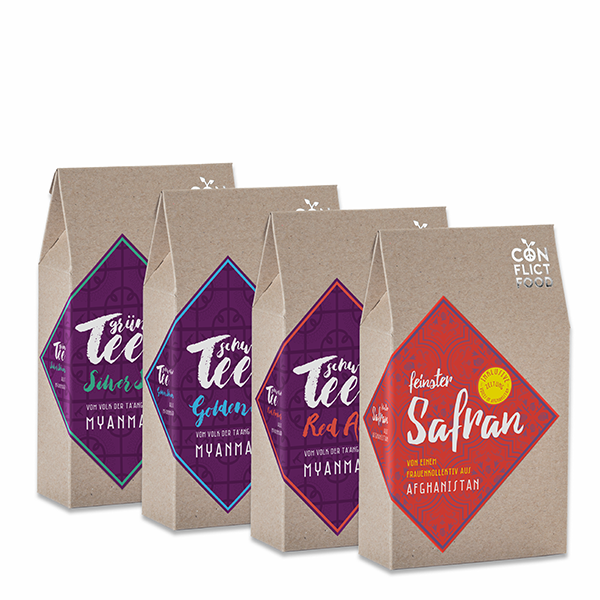 The collective is based in the province of Herat in Western Afghanistan, a region which is often referred to as the “Cradle of Saffron” and has been certified three times as the Best Growing Region Worldwide. Products sourced from Afghanistan stand virtually no chance on the world trading market. 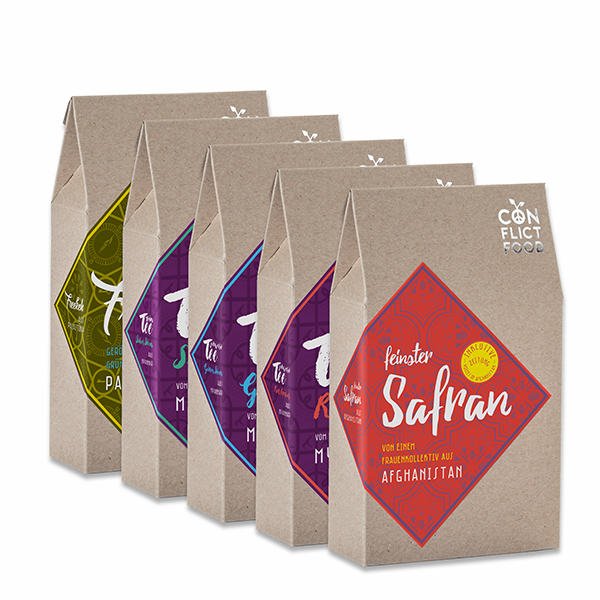 Producers are faced with many problems; partly relating to international trading regulations and the inefficient processing of raw materials, but mostly that, despite the quality of a product, traders are often reluctant to travel to Afghanistan due to the ongoing conflict. 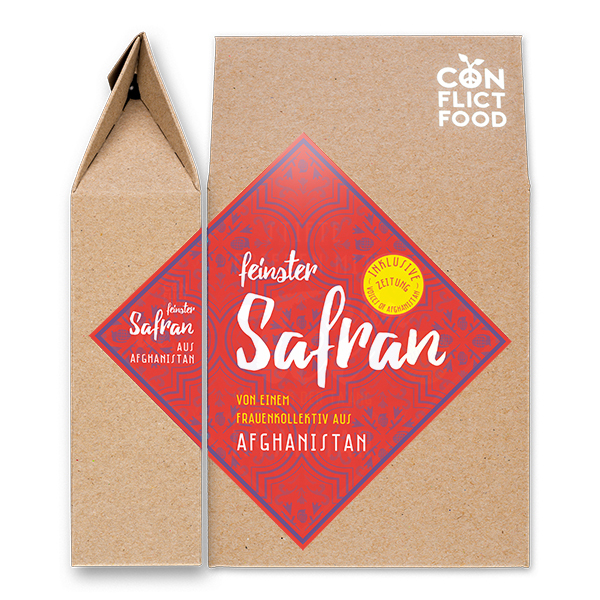 Unser Vorrat an Safran war wieder mal aufgebraucht und da uns fair-gehandelte Produkte für unser Kochen sehr wichtigsind, haben wir zum Safran von Conflictfood gegriffen. 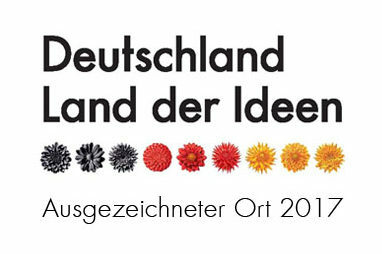 Safran gilt ja als teuerstes Gewürz der Welt und wird daher gerne von unseriösen Anbietern mit Flos Carthami den Blüten der Färberdistel /Saflorblüten die für den Laien so ähnlich aussehen verfälscht bzw. verschnitten. 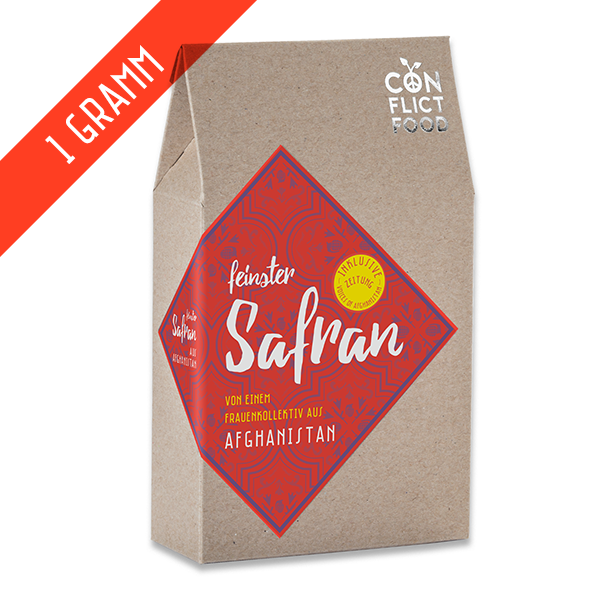 Die Qualität dieses Safrans ist aber völlig in Ordnung- 100% Top-Safran !